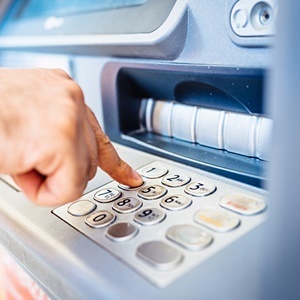 SOUTH AFRICANS are by and large dissatisfied with their banks, and with three new entrants expected to launch in 2018, competition in the sector is going to intensify. For the established banks and even the new-entrants to thrive, they will have to profoundly rethink the way they gather, process and react to customer opinions, particularly on social media. Many would correctly note that our banks already use social media to promote their products and answer customer questions. But attending to individual queries and promoting credit deals on Twitter and Facebook is but one small part of what social media offers the banks. In April this year, in his first public appearance since leaving the White House, Barack Obama addressed students in his hometown at the University of Chicago. Talking about his early years of political organising, Obama said that “one of the first things I learned when I started campaigning was that you show up in a neighbourhood and your initial instinct is to tell people what they should be interested in. Instead of spending the first six months listening and finding out what they actually are interested in, and connecting those needs to areas of policy concern”. Obama’s advice, that policy be informed by listening to what people are saying, is applicable to South African banks, all of whom, except for Capitec, had a negative net sentiment rating on social media for 2017. If banks listened to what customers were saying, they would be able to understand and prioritise their needs. Social media is an ideal source to listen to customers and gauge their opinion. Unlike traditional polling and survey methods, social media is a platform where opinions are volunteered and posted without prompting. Reading twenty or even one hundred social media posts is something most banks have the capacity to do on their own. But when the volume of customer posts is in the millions each year, manually reading each one and extrapolating insights from such large sets of data, becomes impossible. How to turn large sets of unorganised data in into valuable and structured insights has been the challenge. To resolve this challenge, natural language processing algorithms, usually based on machine learning have been used. The problem with these machine-learning only approaches is that they are at best 65% accurate - they aren’t able to understand the nuances of human conversation like tone, sarcasm, and slang. To achieve higher levels of accuracy, a combination of machine intelligence and human intelligence is required. Sending a statistical sample of the data to a crowd of trained human verifiers, who are able to confirm the sentiment and topics contained in each post, yields an accuracy of up to 95%. This is the methodology that BrandsEye applied to its 2017 banking index. It provides a granular measure of negative and positive sentiment as well as an understanding of which topics drive that sentiment. For example, BrandsEye was able to ascertain that the Public Protector's Bankcorp report was one of the main drivers of negative sentiment toward Absa. And conversely, that Capitec's low bank charges were a key driver of its positive sentiment. South African Banks are heavily focused on improving their customer experience through innovation and investment in fintech products, and this is likely to intensify with the introduction of digital-disruptors like Discovery Bank and Tyme Bank in 2018. These new fintech offerings are important differentiators but in order for them to succeed, banks must not neglect the basics of customer needs. This requires a new approach that heeds Obama’s advice to focus on listening, rather than just speaking, to customers.